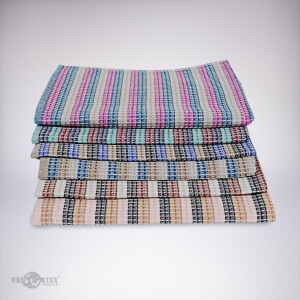 A part of our offer are also work towels, work bathtowels and kitchen towels. They are very important part of supplies for corporate clients, especially for factories, where is a relatively rapid staining of fabrics and which require a quick and cost-effective substitution. 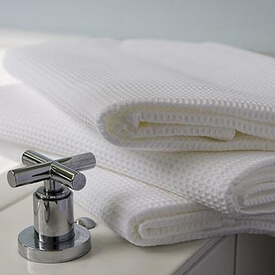 Supplied work towels, bathtowels and kitchen towels are made of natural materials cotton and linen. 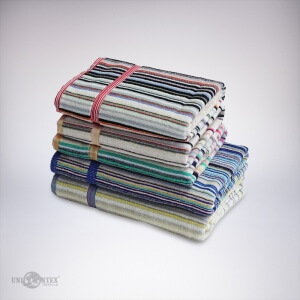 High quality twisted terry with lower piles, standard size 50×100 cm and 70×140 cm, weight 410 gsm, with high absorbency, supplied as a mix of striped designs. 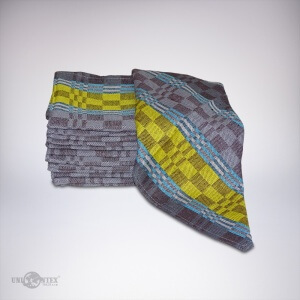 Quality cotton yarn and an attractive design, these towels help in the process of the daily hand hygiene. 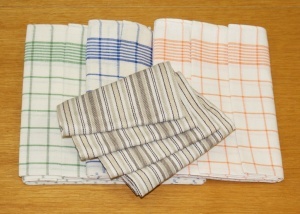 Waffle work towels are supplied in size 50×100 cm, weight 240 gsm, standard with striped design or white. 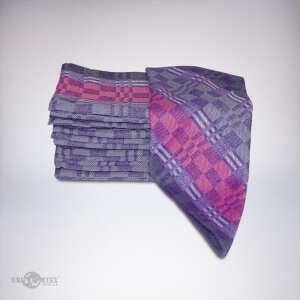 are made of standard yarn, for very favourable price, good ratio price to utility qualities. 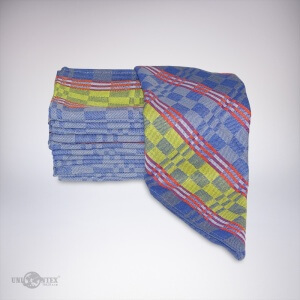 These towels are used to frequent substitution in a dirty and dusty environment, first of all in contaminated environments of nuclear power plants. 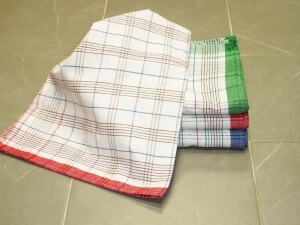 Supplied in size 50×100, weight 180 gsm. 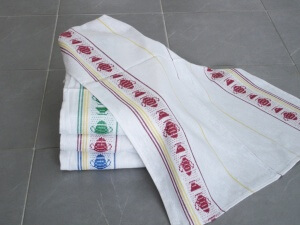 Kitchen towels are offered in size 50×70, material 100 % cotton or cotton/linen, available in various designs (jacquard, checks) and colours.